Today is the age of technological growth—it’s an era of advancements. In such competitive times, your brand will have to leverage a new breed of technology for being head and shoulders above the rest of the pack. That’s precisely where AR, or augmented reality, comes into play. AR will enable your users to experience your product, service, or event without having to be physically present over there. This technology will empower your prospects to submerge themselves in a whole new ecosystem that’ll be created by your brand using AR. That’s basically how your brand will let your prospective buyers visualise your offerings. In short, AR has the power to drive completely tangible outcomes while creating memorable experiences. However, while your brand is putting AR to work, it may completely drop the ball. Why? Well, because AR is a piece of specialised technology. And this technology should be handled by an agency that’s interacting with AR day in, day out. In a nutshell, your brand will have to partner with an agency that’ll use AR in a way that’s as unique as your brand. Now, using AR this way needs expertise-backed experience. That is to say, when it comes to unlocking AR’s real worth in Singapore, it comes down to finding the number 1 agency in Asia. And when the discussion is on the best AR company in Asia, Untitled Project can’t be ignored. At Untitled Project, the team believes that AR has started pushing the boundaries of what’s considered real. This new technology gives a vast, blank digital canvas for product enhancements. Many brands, just like yours, use this digital canvas for inspiring and delighting consumers through innovation and insights. This agency has seamlessly integrated AR as a robust marketing tool for creating a completely optimal buying journey that leads to higher conversion rates. This augmented reality company has worked with different AR formats ranging from Vuforia SDKs to more modern forms such as Apple’s ARKit and Facebook AR. That’s not all as this agency has even developed project-specific AR toolkits and platform-agnostic web-enabled AR ecosystems. The company’s team of AR experts and content creators has the experience of creating engaging content for a variety of head-mounted displays such as Microsoft HoloLens. Besides, this team knows how to work with different gaming engines including Unreal and Unity. So, what’s the wait for? 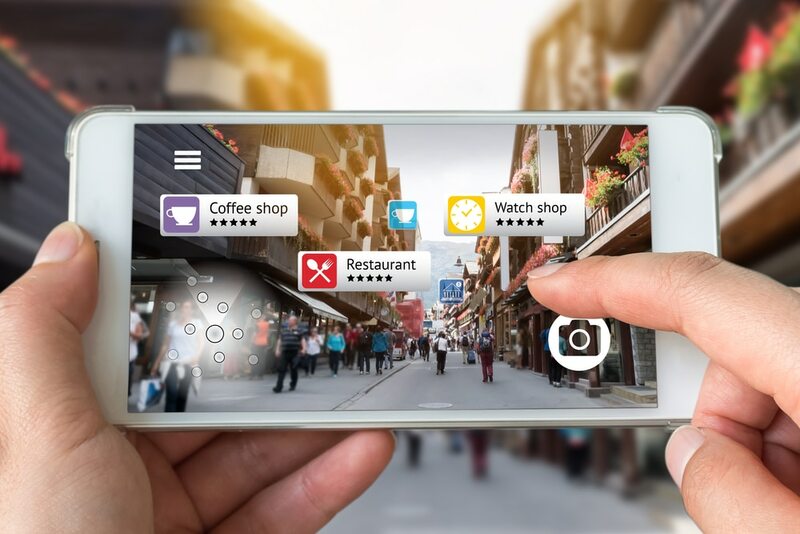 If you want your brand to use AR for driving more business and improving customer loyalty, then Untitled Project will definitely help.